Jay-Z, one of the most celebrated rappers of our time, has never been shy about his social justice opinions. 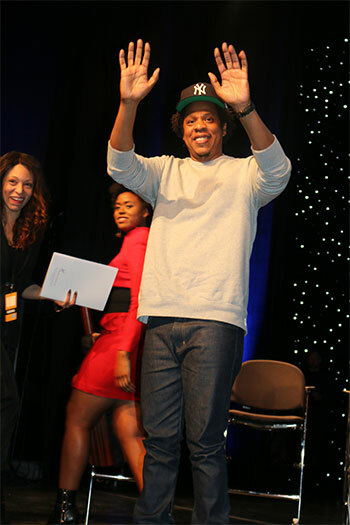 Continuing his justice work on projects like Rest in Power, a Trayvon Martin documentary, and Time, a Kalief Browder documentary, Jay-Z has teamed up with rapper Meek Mill—along with New England Patriots owner Robert Kraft, Philadelphia 76ers co-owner Michael Rubin, Brooklyn Nets co-owner Clara Wu Tsai, Third Point CEO and founder Daniel Loeb, Galaxy Digital CEO and founder Michael E. Novogratz, Vista Equity Partners CEO and founder Robert F. Smith, and news commentator Van Jones—to establish REFORM Alliance, a criminal justice reform organization. 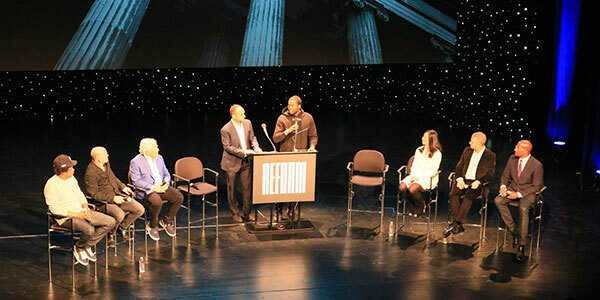 Fittingly, on January 23, the group chose John Jay College of Criminal Justice as the location to announce the launch of REFORM Alliance. The wheels for creating REFORM Alliance started turning when close friends Mill and Rubin started talking about inequalities in America. Mill, an African-American man, tried to explain to Rubin, a white man, that there were “two Americas.” Rubin told the audience at John Jay that at first he was skeptical about his friend’s analysis. Then, when Mill was sentenced to two to four years in prison for doing wheelies on a dirt bike, a controversial parole violation, Rubin’s mind was changed. “He called me after the sentencing to say ‘I told you so. Two Americas.’ He was right and I was dead wrong,” said Rubin. 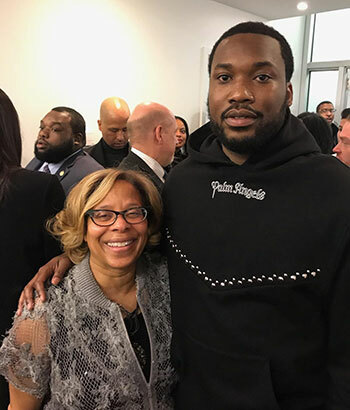 “Meek taught me so much about a world that I didn’t understand at all, about the great injustices that are going on.” Hoping to create strong partnerships leading to an organization that would move the needle forward on criminal justice reform, Rubin set up a meeting with Mill and Kraft while Mill was still incarcerated. Mill went on to tell the audience that his goal was to be a voice for the voiceless, understanding that in some ways—even with his encounter with the criminal justice system—he was “lucky” because he had a voice and a platform to speak out. “I didn’t ask to be the face of reform. I don’t want to be the face of reform. I just want to bridge gaps and bring people together and make the world a better place—especially for people from my culture and the environment that I grew up in,” said Mill.